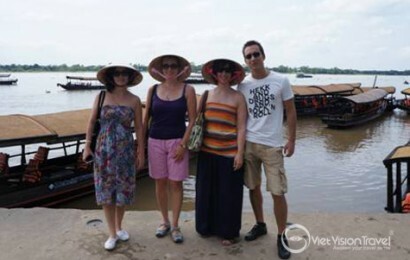 Welcome to Vietnam Adventure Tours! Journey to Vietnam’s most populous destinations and witness the authenticity of landscape, culture & people to have a unique experience of the hidden corners & isolated villages in your Vietnam vacation. 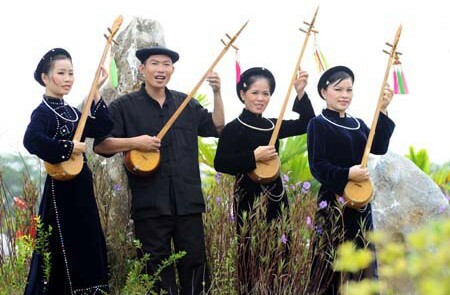 Discover a side of Vietnam you never imagine existed on any journeys with multi-activity adventures. Get a full dose of this land’s truly incredible history, culture, and geography using rural paths that wind through remote villages and past seemingly endless rice fields. 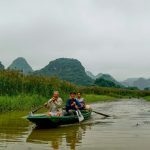 The Vietnam adventure tours listed below are not only physically challenging but also combine basic accommodations with well-planned activities and relaxation that will surely expose you to an exciting new travel experience on an active adventure trip. Our tour guides take care of all the practical details that may arise during the adventure and we also care much about the logistics of your adventure programs, so that you arrive fresh, well-informed and ready to explore any places. 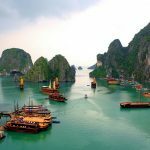 Is this Vietnam adventure tour suitable for me? Tour Type: Hiking, trekking, biking, rafting, and kayaking adventures all over Vietnam, made for outdoor types. Comfortable tourist-class accommodations with character; the mix of public and private transport. Contact us to get a memorable adventure trip of a lifetime. Pu Luong is a nature reserve in northern Vietnam. This nature reserve is situated in Quan Hoa and Ba Thuoc districts of Thanh Hoa Province. The reserve is located along two parallel mountain ridges that run from north-west to south-east, and are divided by a central valley,..
Vietnam enchants tourists with picturesque landscapes, super friendly locals and various places where you can enjoy the atmosphere and surroundings while getting your blood pumping in a wide selection of adventures. See this list of top 5 Vietnam adventure destinations to find out more about this sensational land. Sapa is perhaps an undoubtedly popular destination for foreign and domestic tourists. Even though this place is known for peaceful and dreamy landscape, Sapa still has a lot to offer when it comes to an adventurous trip. The misty town of Sapa is surrounded by mountains, hills, and rivers in which travelers must trek on the local path and trails in order to visit. 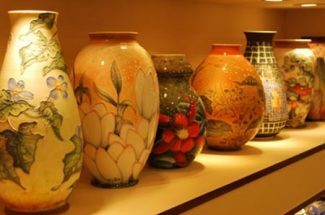 Tourists can stay at local homestay to learn about the lives of villagers. In Sapa, you can climb Fansipan Mountain, the highest peak in South East Asia, to the top of it. If you want a less challenging location, it is possible to trek to Thac Bac, a silvery fall, and immerse yourself in nature. Or tourists often venture to Muong Hoa valley to see stones carved with strange symbols and images. 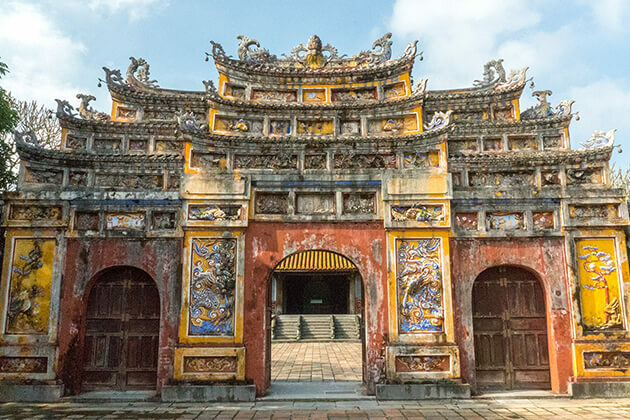 This UNESCO World Heritage is always on the list of any tour in Vietnam including adventure tour. Since nature has blessed Ha Long Bay with impressive limestone karst, enormous caves, and jungle vegetation, it is a regret to not explore this region. Here, you can take on a little bit adventure and kayak on the sea to explore the rich ecosystem of Ha Long Bay. Besides enjoying the remarkable landscape, it is possible to travel to the Monkey Island in Cat Ba in which tourists can enjoy mountain climbing and trekking through hills or find the monkeys live on the island. At the end of the day, you will relax and reflect the adventure while the sun kissing the horizon. This province in the Red River Delta offers surprisingly a wide variety of famous sites and activities for adventure lovers. Here, you can explore the very first Vietnam National Park, Cuc Phuong, to discover the special rainforest ecosystem of the Delta. The Flora in Cuc Phuong National Park is various and ancient, some trees dated back to more than thousand years ago while there are some rarest species in the animal kingdom living here. Tourists may also find many charming waterfalls and stream on the way. Another adventurous location in Ninh Binh is Tam Coc, a cave system including limestone mountains. Adventure tour in Tam Coc has diverse activities such as bicycling, boat trip, climbing, and trekking. Therefore, you can easily find strange stalactite with different shape and size in Tam Coc (Three Caves) and vast rice fields in the village. After that, adventurers may also visit Bich Dong (Emerald Cave), a pagoda complex among mountains and rivers. It will be a truly a great regret for any adventure lovers about missing Phong Nha Ke Bang National Park when traveling to Vietnam. This destination has all the natural advantages to make your trip to become the ultimate adventure in Vietnam. Travelling to Phong Nha, you can explore one of the most complex and magnificent cave systems in the world. There is Phong Nha Cave which has the illusory Son River flow inside; Tien Son Cave is known for impressive “fairy-tale” stalactites and stalagmites; or the biggest cave in the world, Son Doong, where many phenomenal sites like Hand of Dog, Watch out for Dinosaurs situated. Phong Nha Ke Bang National Park has a great number of limestone mountains for mountain climbing activities. With the height of about 1000 m, these mountains will bring a great experience for climbers. In addition to that, the rich ecosystem of Phong Nha consisting of 140 flora families and 98 fauna families allowing you to have completely satisfying trek into nature. Not far from the west of Ho Chi Minh City, there is a unique place for adventure trip which is Mekong Delta. By traveling through the canal system, you can see the rich land of agriculture, fishery, and culture in the region. It is possible to venture by boat on the river which you may need a guide or not or bicycling to reveal the picturesque countries side. If tourists take a boat trip on the waterways, they will meet one-of-a-kind floating market in Vietnam where several kinds of product such as tropical fruits, textiles, foods, and drinks are exchanged. However, cycling through the villages is also a fantastic idea since you can visit the farms of local such as crocodile farms, visit local shops and finally experience traditional hammock. Vietnam is becoming a wonderful tourist destination for many visitors all over the world thanks to the proper investment of the government on tourism. Going along with this development, there appears more and more comfortable and interesting services to meet different requirements of tourist recreation. 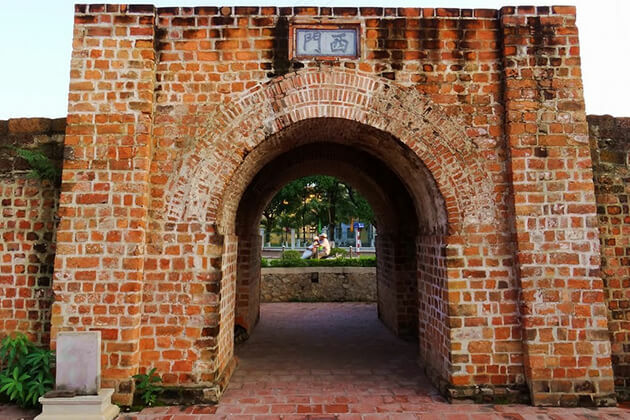 However, there are some important tips that tourists must pay attention to better enjoy the Vietnam adventure tours with such interesting adventure activities in Vietnam. 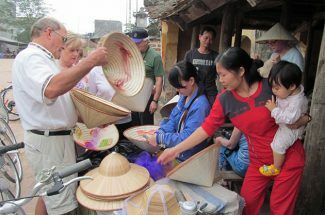 The basic tools needed are lights, helmets, cave maps, candles, waterproof matches, oval rings, 8th string, wire rope, gloves, medicine, water filter, ambulance and compass to make your easy Vietnam adventure tours. Besides, the followings should be noted: Lights: You should use high power lights which can be utilized for a long time. Each person should prepare at least 3 torches (carry backup batteries). Helmets: Some cave ceilings are usually rugged and have stalactites, so you should use hiking hats. If not available, replace it with a worker's hat or a helmet, which is needed for any Vietnam adventure activities. Water and food: You should bring water along because water provided in the cave is not clean enough. It is up to your own plan that you can carry a suitable amount of water. Essential foods are fruits, a synthetic protein, and processed foods. It is because this activity wastes as many energies as in a trekking tour in Vietnam. Small bag: You should use a small bag to hold the most used stuff. Members should keep their distance when moving. The most experienced should lead the group and another good one should go at the end. When members do not catch up with each other, the front man must stop waiting for the team to stabilize again. You should also observe the leader adjust your pace. 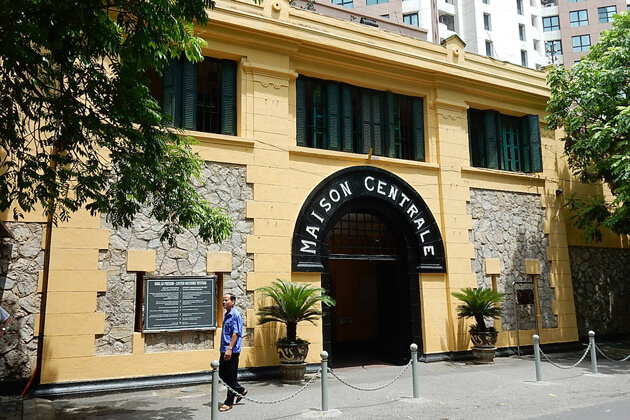 This is an important Vietnam travel guide for every tourist. Do not disturb the lives of cave-dwelling creatures such as bats, snakes ... because they can be dangerous to you in such Vietnam adventure tours. In case of being attacked, wash the wounds clean and then bandage and take care of the pain carefully. When you get lost, calm down to assess the situation. Please light candles and turn off all flashlights to conserve energy and try to remember the way to go back. If realizing that you have not been on the team, the rescue team will look for you. So the best travel guide for you in Vietnam is that you should sit back, listen and wait. In case of coping with obstacles which stop you from moving, just come back to avoid unworthy accidents. Do not go alone. Do not use old wires or ladders found in the cave. You should write the most detailed plan, accurately record the location of the cave entrance, the direction you have followed, the point you have passed ... then clamped with the schedule. This will help the rescue team deploy a search plan faster if you get lost. Of course, the following notes are just in case of emergency and in some bad expectations. However, it is better to be well-prepared for any situation to come. When you feel safe, you can enjoy the interesting and amazing Vietnam adventure holidays better and make memorable experiences when exploring caves in Vietnam, or anywhere else in the beautiful world.